A wide range of braces are available at Edinburgh Orthodontics. Some braces are only available through private treatment. We have arrangements in place with Medenta Finance to offer our private patients the option of a low cost payment plan. Invisible Braces ( Lingual Braces ) attach to the back of the teeth. Lingual braces are custom made fixed braces which bond to the back of the teeth making them invisible to other people. Lingual braces are a truly cosmetic alternative to those who do not wish to have a brace which can be seen. These appliances use digital 3-D technology to ensure optimal precision and quality of treatment outcomes. Incognito is an example of a lingual brace used by the specialist orthodontists at Edinburgh Orthodontics. Cosmetic Braces with brackets made from clear or tooth coloured ceramic are much less noticeable as they blend in with the natural colour of the teeth. Clear elastic ties and white metal ties are used with clear cosmetic braces. Tooth coloured archwires may be used in the early stages of treatment, but standard wires are needed in the later stages to ensure optimal precision. 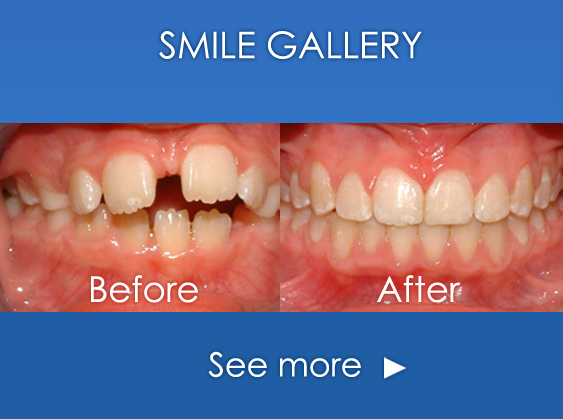 Cosmetic Braces greatly reduce the visual impact of your braces. For many adult and older teenage patients clear cosmetic braces offer a very acceptable aesthetic solution to your orthodontic problem. Clarity Advanced and Radiance are examples of cosmetic braces used by our specialist orthodontists at Edinburgh Orthodontics. A series of clear removable aligners can be used to treat a wide range of orthodontic problems. The series of very accurately produced aligners specifically designed for you are used to gradually move teeth into their final positions. The clear plastic aligners are hardly noticeable on the teeth. Like traditional braces aligners gradually move your teeth into their right position. Aligners are removed to eat and to clean your teeth. Invisalign is an example of a clear plastic aligner used by the specialist orthodontists at Edinburgh Orthodontics. A development of the conventional wire brace is the self-tying (self-ligating) brackets. In this type of brace the wire is not tied but is located in a slot in the bracket. Self-ligating brackets are designed to reduce the friction between the wire and the slot of the bracket. Damon Braces are an example of a self-ligating brace used by Edinburgh Orthodontics. Traditional Metal / Wire Braces are sometimes known as "Train Tracks". These braces are usually made from stainless steel and they are the most common type of braces used for the treatment of children although they can also used for adults treatments. The metal arch-wire is attached to brackets, which are glued to the front of the teeth, using elastics ties. We can use a wide range of coloured ties to allow you to customize your braces.Traditional wire braces are the standard braces used in NHS funded treatment.